Three boys, brothers, friends, united not only by their shared genes and heritage but bound by their love of horses. 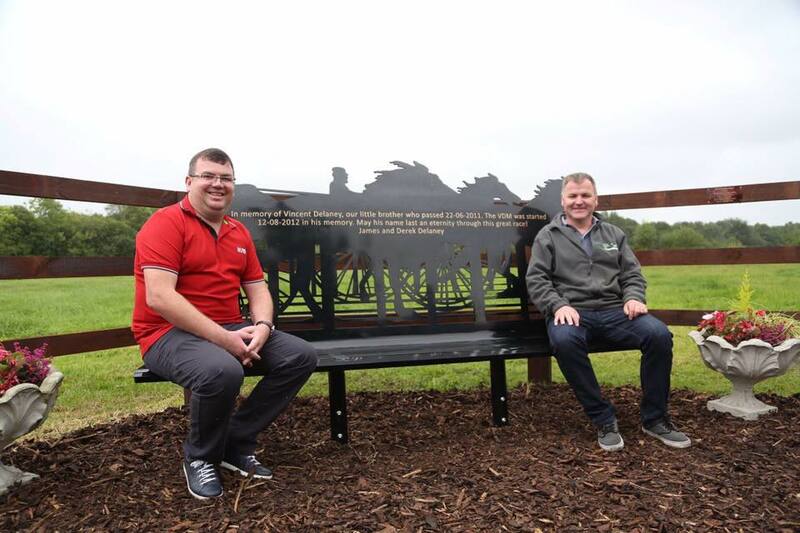 The Delaney boys from Dublin found their way into harness racing through the ponies and carts of their childhood, collecting scrap, delivering coal, helping out in Newtown Stud. Where older boys James and Derek led, the youngest lad Vincent invariably followed. A band of brothers. Life led them down different paths for a while, away from the ponies and the thrill of racing, but eventually it lured them back in, snaring them with the promise of a share in a trotting horse. Horses have a way of doing that, of capturing a person’s soul and the standard-bred pacers and trotters had a hold on the Delaney boys. James moved to Offaly at the turn of the millennium to pursue his passion and Derek soon followed. A new house, with a barn and trotting track, was built and the Delaney brothers began training their own horses along with a burgeoning interest in breeding, which was where Vincent’s heart lay. Life was pootling along, horses only ever a part-time operation as harness racing is a minority sport, other business interests providing an income to follow their dreams until a knockout blow in June 2011 from which they are still reeling. 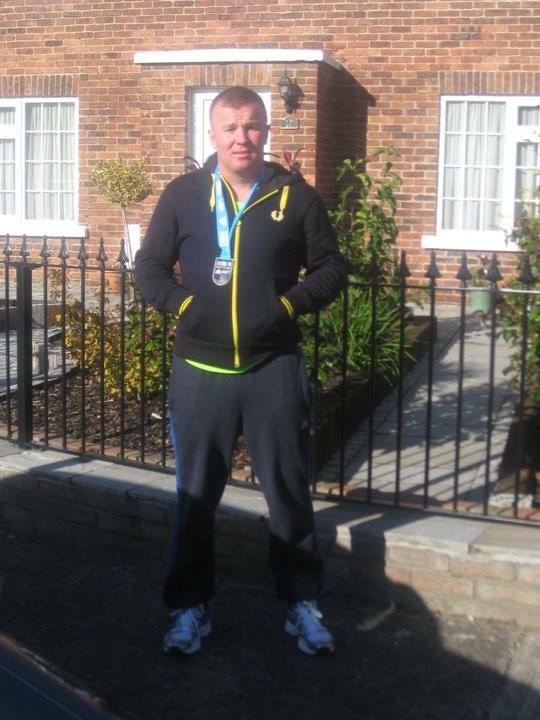 Only 27 years old and a fit runner who completed the Dublin marathon the previous October, and a boxing enthusiast, helping to train children at the gym in Donaghmede, Vincent suddenly and unexpectedly died from a heart attack in the Northside Shopping centre. Vincent has provided his older brothers with a light to guide their way out of the dark depths of grief which enveloped them. A memorial race was suggested to them in 2011 but mere months had elapsed and the grief was all too new, an ill-fitting suit. With the passage of time, the idea became more palatable and the inaugural Vincent Delaney Memorial Two Year Old Classic took place in August 2012. “He worked here with us, he lived with us in the house there and was into the horses, more into pedigrees and he was involved with the stallions we keep here and breeding and breaking in young horses. To have a two-year-old race, I think it is a fitting tribute. Loads of people told us it wouldn’t work and we should have the race for three-year-olds but we proved them all wrong,” explains James of the reasons why they chose to go against prevailing attitudes. Derek continues: “That was Vincent’s involvement in the horses so that’s why we have a two-year-old race in his memory. It gives us a good day every year to look forward to and gives us something to keep us busy and occupy the mind. In just two years the brothers have transformed the race from an appropriate way to honour their brother’s memory and keep him with the family into a major international event on the harness racing calendar. The race takes place next weekend in Portmarnock, with the heats held on Saturday and the final on Sunday. Through the efforts of both brothers and the unyielding support they have received from the community, international drivers and well-known faces from the sport are heading to Dublin to compete and be involved in the race. Irish perceptions of harness racing are tainted by images of coloured ponies belting down busy roads, but this is as far removed from that as you can imagine. Harness racing is a major international sport with races taking place on tracks in America – where it is on a par with thoroughbred racing – Canada, France, Sweden, Australia and plenty of other countries you could point to on the globe. Million-dollar prizes are at stake, with yearlings sold for prices that would make most men’s eyes water. The confusion and prejudice which regularly confronts them in Ireland rankles. Derek believes that the misunderstanding that persists in the wider public detracts from the sport and is hindering efforts to promote harness racing. “I think that it takes from us trying to take the sport forward as well, being associated with that, because it is not that and anyone coming out here can see that there is money invested and everyone in harness racing takes the sport seriously. We are just trying to take it up a level and showcase what we have and what we can do,” he argues. Last year Derek and James purchased a regally bred American filly called Camden Carmel, the daughter of two American champions, in the hope of unearthing a horse talented enough to compete in the Vincent Delaney Memorial Two Year Old Classic. The flame-coloured filly has outshone their expectations so far, winning three races this season, including a stakes success at York. The brothers have secured the services of American Hall Of Fame driver Wally Hennessy for Camden Carmel next weekend. Hennessy was keen to come to Ireland as his grandfather emigrated from these shores and with more than 8,500 victories notched up in his career so far, Derek and James are delighted that he will be steering their filly in Portmarnock. Contemplating the impact of victory on them – the filly is second favourite – is not an easy task for either brother. Joy, certainly, but a with a very bittersweet tang. To which James adds: “You’d have to give armbands to everyone to swim out of the place!” Both men erupt with raucous laughter. James does the training but the enterprise is a joint venture, as it has always been. Derek has returned to Rhode from Spain, where he has been based since Vincent’s death, to help put the finishing touches to Camden Carmel’s training and work on the organisation of the race. “James and me have always done everything together business wise, horses and stuff. I pay the bills!” he says. “I’m an armchair trainer!” Derek replies and the giggling fit resumes where it had left off. The close bond they share and the memory of the ties that bound them to Vincent is evident but unlike many siblings, working together has never been difficult for them. Whether it is horses or business, it has always seemed a natural fit. Now the horses are a link to Vincent, the race means he is always with them, and racing maintains a bond that might have been stretched to breaking point by the numbing power of loss. If victory is to be their reward this year, it will not diminish their dedication to the race. Whatever may happen, they will keep it going; already there are plans in place for next year, and through that, keep Vincent’s flame burning. No longer with them to share in their adventures, they have created a legacy for their younger brother that neither man could have envisioned when they started out. All they ever wanted to do was give their little brother the best memorial they could imagine. Through it, they have found a method to ease the pain on the days when the loss hits them with unimaginable ferocity. “I think Vincent would be overwhelmed with what happened. I hope he’d be very proud of his brothers too,” says Derek, the words catching on his breath. “We have preparation races for the horses to gain experience so the two-year-olds are experienced and don’t make mistakes, it makes it a more clean-cut race. We won the two prep races with the filly, so the first one we won was emotional for us because it’s part of the race. We went to the grave and put the rosette on it, it was a nice thing to do. “When we won the stakes race in England, the next day was his anniversary so it gave us a high to help us with the low,” Derek reveals. “It gets you through the difficult times by doing all this. It’s all positive. It’s difficult but the race and the hype surrounding it helps us get through the difficult days,” adds James. The race doesn’t just provide solace to a grieving family and a boost to a minority sport. The brothers have always used the event to raise money for charity and this year they have chosen Pieta House as the organisation to benefit from the Ladbrokes Vincent Delaney Memorial Two Year Old Classic. Before racing on Saturday evening there will be a charity auction to race funds for Pieta House. The international drivers taking part in the event will bring memorabilia and the cart used by Foiled Again when he broke the record for the most prize money earned by a standard-bred last November ($6m) will also be sold. It was donated by his trainer and part owner Ron Burke to the auction. Nominations to 18 standard-bred stallions standing in Ireland, including the two which Derek houses at Oakwood Stud, will be auctioned as well. They are hoping to raise as much money as possible on the night. More than that, they hope that Camden Carmel can pay the ultimate tribute to their lamented brother. “I think Wally Hennessy coming over to drive the filly, it would be a great thing, it’s job done for us as we set the race up but with Wally Hennessy driving her it would be worldwide news in harness racing. I think it would bring it to another level. If he’s meant to win, he’ll win. If the race is meant to get bigger, it will get bigger,” is Derek’s philosophy on life and racing. Later in the day, Derek calls. There were things left hanging in the morning air, words trailing away on the summer breeze when we met. With the dust settling on the training track by his house and time to think, he has more to say about his younger brother. Although three years have passed since Vincent’s sudden death, time has not blunted the sharpness of the pain. Three years on from his sudden leave-taking, and Vincent’s brothers are still searching for a way to ease the pain. From beyond the grave, he is still reaching out to them, guiding them onwards through the fog of grief. “It keeps us on the straight edge, it gives us something to do and this year it really is overwhelming the amount of work we have to put in to it,” Derek says of the race and the lingering loss that hangs like a shadow on each day. The three Delaney boys are still bound by their love of racing and horses. Although no longer with them, Derek and James have found a way of keeping Vincent alive. No elegiac sonnets to grant immortality but a race giving life to a young man gone before his time and a sport hoping for a new life. A band of brothers still.